Middlesbrough is a large industrial town in North Yorkshire, north-east England. Middlesbrough is becoming a leading progressive, cultural and cosmopolitan location to live and work. The town is in one of the relatively drier parts of the country and is sheltered by both the Lake District and Pennines to the west. 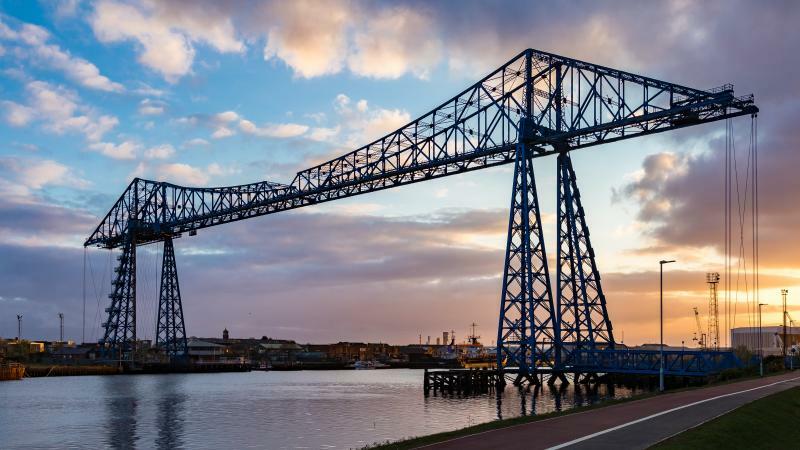 The symbol of Middlesbrough’s industrial heritage, is the Tees Transporter bridge (pic above). This 102-year-old steel bridge is the longest of its kind remaining in the world. From events and days out to activities and places to go for a bite to eat, there’s a lot to take advantage of. If you are looking to get away from all the restaurants, bars and nightclubs, you'll find time out in Centre Square and in lots of parks, galleries and museums. A must day out for fun water sports would be at the Tees Barrage International White Water Centre. Also recommended for a family day out would be a visit to the North York Moors National Park located just a 30-minute drive south of Middlesbrough. 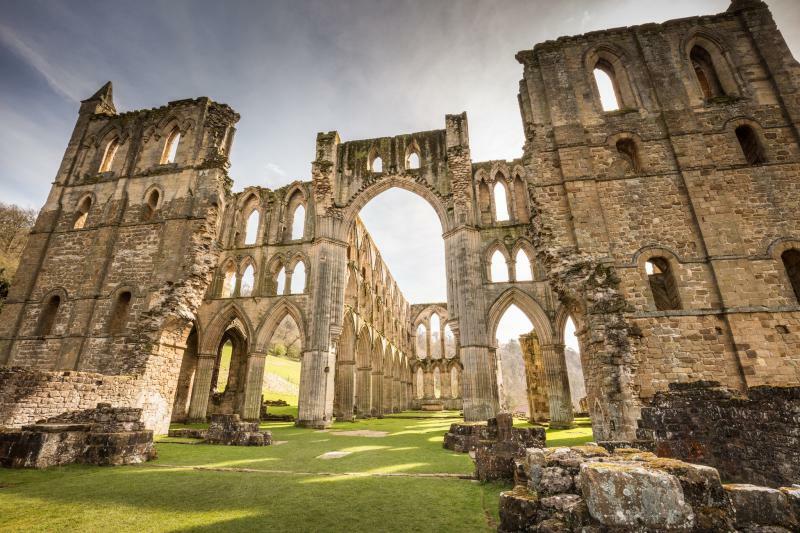 In and around the National Park, be sure to visit stunning Rievaulx Abbey and the Hole of Horcum – a huge natural amphitheatre that is about a kilometre wide and 122m deep. The morning rush hour heading into the centre of Middlesbrough can be frustrating; then again, where isn't? If working in the town centre, it might be best to travel in via the public transport. Central Station is just a five-minute walk from the city centre. Quayside district has its own Metro station – both serving local and suburban routes from nearby Redcar, Saltburn and Darlington. As well as Bishop Auckland, Newcastle, Sunderland, Hartlepool and Whitby. The town has two bus stations - Haymarket and Eldon Square. There are over 40 primary schools and 7 secondary schools in Middlesbrough. See them here. Teesside University is a dynamic, energetic and innovative public university with its main campus in Middlesbrough. Just 3 miles east of Middlesbrough lies the third largest port in the United Kingdom called Teesport. The port is vital to the economy of Middlesbrough and the port owners have their offices in the town. A large amount of engineering based manufacturing and engineering contract service businesses are located here. The town also has a growing reputation for developing digital businesses particularly in the field of digital animation. Middlesbrough offers a wide availability of affordable eateries, take-aways and a small but growing number of café bars. Middlesbrough has an impressive number of shopping centres, 4 in total, with the largest being the Cleveland Centre. The pedestrianised section of Linthorpe Road includes House of Fraser and Debenhams. The town centre has a variety of stores from high street chains to aspirational and lifestyle brands. Middlesbrough's vibrant nightlife comes alive during the weekend. The town is increasingly popular with stag and hen parties, clubbers and students alike, the pick of the pubs and clubs can be found in and around the main town centre. The town also hosts a number of musical and cultural events during the year, for example the annual Mela attracts more than 25,000 and is held annually in Albert Park. Local amenities such as Hospitals, Doctors, Chemists, Schools can be viewed for each property on our website. Search for social housing properties available immediately via Homefinder UK in Middlesbrough here.